Most grocery markets like to get their Harvest windows up by mid September. This way you can leave them up until it is time for Christmas windows. 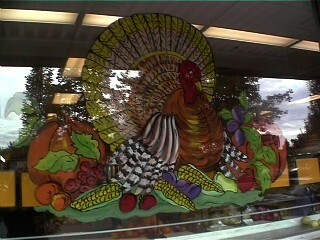 What would a Harvest window be without Turkey.